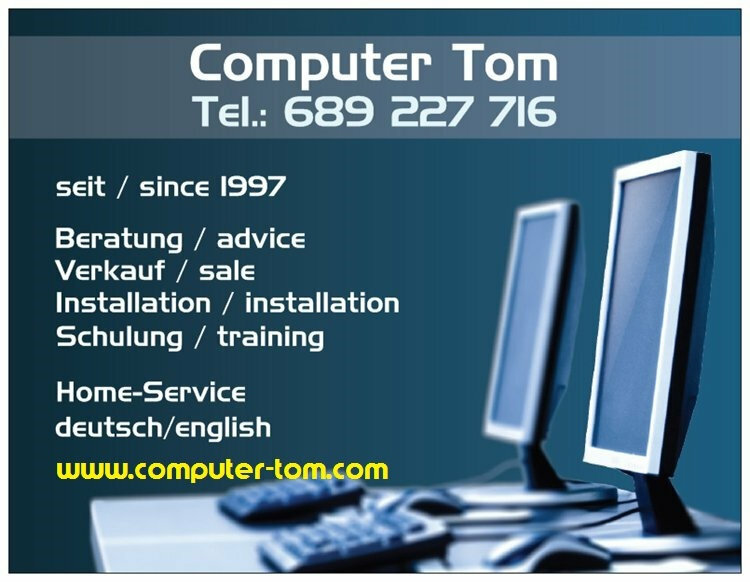 computer-tom.com • repair, sale and installation of computers, laptops, tablets, mobile phones and software • advice, training and on-site-installation of computer systems and accessories • internet / DSL (with and without router) • tv, paytv and satellite installation and service • diagnosis. maintenance, assistance and personal training • On-site full-service, fast appointments. english, german, spanish speaking. detailled info at our website. looking for the most reliable seo services? then do check https://seocompanyinbangalore.company which offers the seo services aiming to provide value for customers investment. we transform your project into success!